This dissertation describes the design, implementation, and evaluation of an audio watermarking algorithm on the basis of a statistical mathematical model. The design of the basic audio watermarking method, relying on hypothesis testing, is motivated by a discussion of possible application scenarios determining algorithmic parameters. 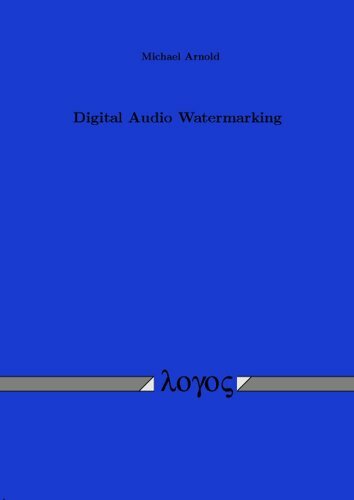 To permit an exhaustive evaluation of the method in terms of quality of the watermarked audio tracks, both subjective listening tests and objective measurement standards have been applied to the watermarked tracks in order to verify the obtained quality. A general approach for a risk analysis of watermarking applications is presented, analyzing possible attacks and countermeasures during the deployment of watermarking methods. If you have any questions about this product by Logos Verlag, contact us by completing and submitting the form below. If you are looking for a specif part number, please include it with your message.